Perfect for a picnic, or just for relaxing out on the patio on a sunny spring day! 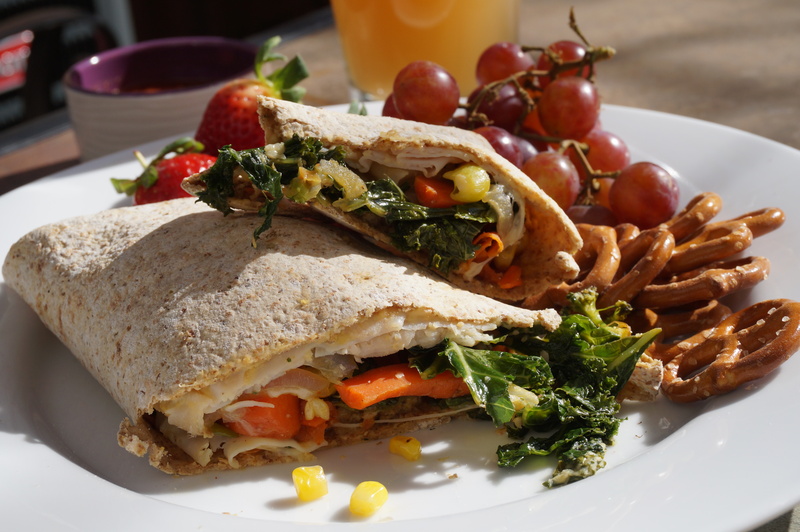 This “burrito” is a healthy, satisfying lunch that is packed with protein and flavor. 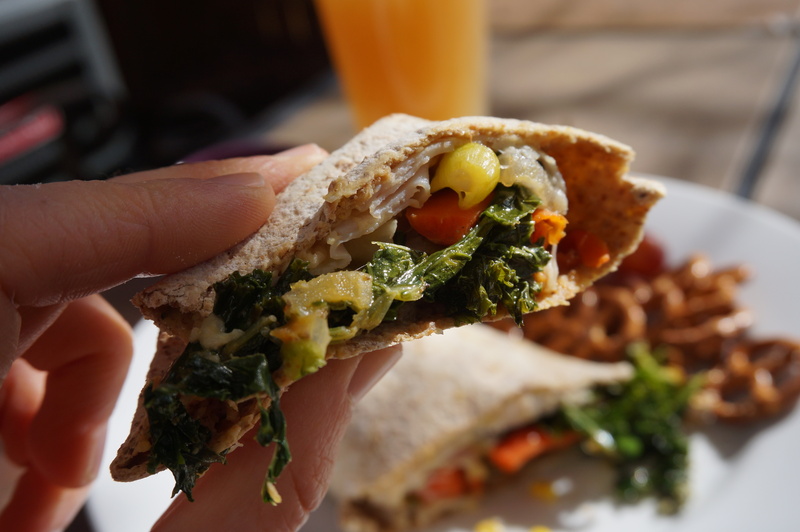 Spread it with creamy hummus and load it up with your favorite roasted veggies, then roll it all up into a Flatout wrap and toast it in the oven! Spread hummus in center of flatout wrap. Top with turkey, if using, and cilantro. In a nonstick skillet on medium heat, cook carrot, tomato, corn, red onion, broccoli, and garlic until tender- about 5 minutes. Add kale and spices, and cook until kale is wilted. Layer veggies over hummus. Top with pickle and cheese, and sprinkle with pepper. Fold edges of wrap in (flat sides) tightly, then begin rolling inward from one of the rounded sides. Place seam down on a baking sheet and bake 10 minutes, until top of wrap feels a bit hard and toasted. Not only does toasting help make the insides all gooey and delicious- it also helps give the burrito a bit more shape! Slice diagonally and serve with salsa and fruit for the perfectly satisfying, protein-packed lunch!